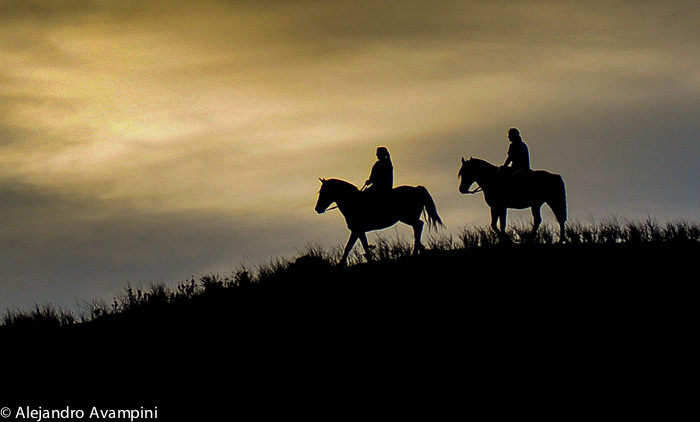 Horse-back riding in the Valdes Peninsula, from Puerto Piramides, Argentine Patagonia. Horse-back riding in the Valdes Peninsula is, thanks to Victoria and Gerardo, an experience made possible from Puerto Piramides. For those looking to enjoy their stay combining nature in all their activities, Criollos de Valdes, is a relatively new adventure that stands side by side in quality with other activities like kayak, mountain bike, boat tours and swimming with sea lions. 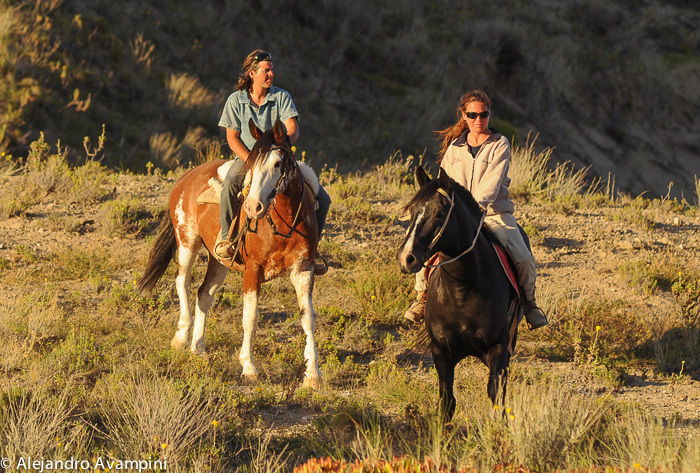 Criollos de Valdes offers interpretive rides for discovering the Coastal Patagonian Steppe. Along the way it is common to observe whales, various species of birds and other animals both native and migratory, an indescribable amount of fossil remains, bringing to the surface millions of years of geological history, and one of the best ways for enjoying the peace and silence of a sunset in this unique and infinite site. 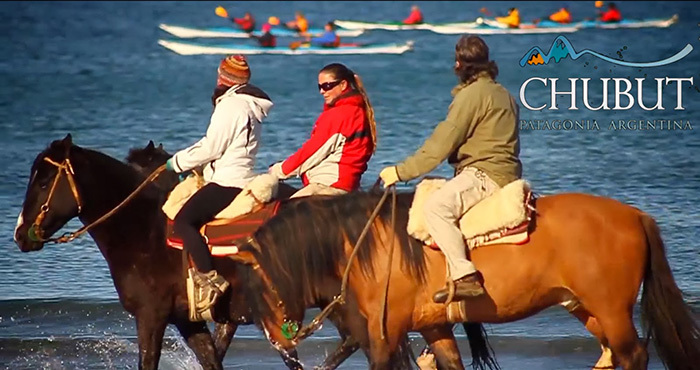 This video, made by the province of Chubut, is dedicated to the adventure activities offered from the mountains to the sea. 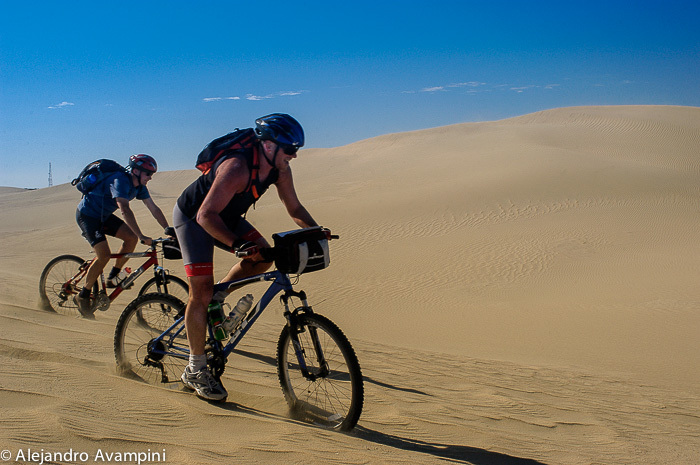 Very nicely edited, amongst the other areas of the province, you will observe those made in Puerto Piramides, such as Horse-back riding and Mountain bike. Victoria and Gerado are experienced bilingual guides known for their understanding of the Valdes Peninsula and the circuits they offer are on pure Creole horses, extremely domestic and easy to ride, allowing a harmonic experience with nature. While riding, an emphasis will be made by the guides on the topic of conservation, the environment, natural resources, their use and protection, and the cultural idiosyncrasies of the area. 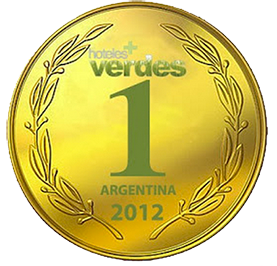 This is another great way to experience Peninsula Valdes. 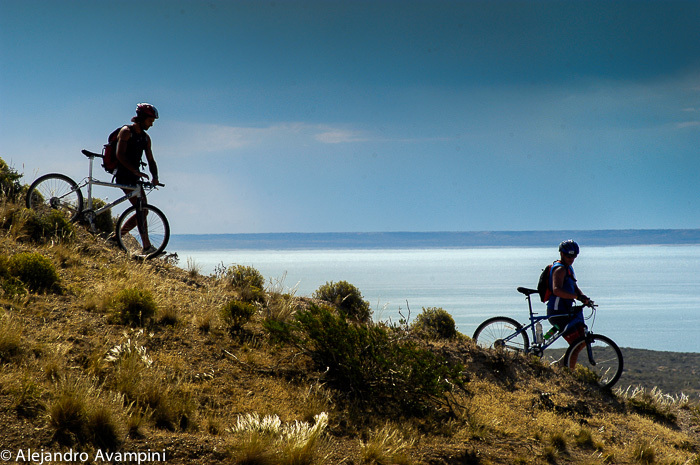 Mountain bike riding is an adventure sport practiced just about everywhere with Patagonia being no exception. In Puerto Piramides, long time resident Mario Gadda offers daily tours and other special excursions. The name of his business Traccion a Sangre and his tours will take you along paths, trails and old ranch roads are known only to him and very few other local guides. 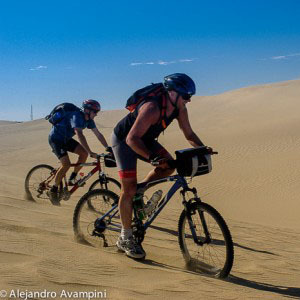 With modern, professional mountain bikes and all other necessary equipment provided, Mario offers guided tours for discovering at a rhythm your own body dictates, to hidden corners, through incomparable landscapes and magnificent sunsets that his more than twenty years exploring the region guarantees. The magazine Vida Silvestre published an article on Sustainable Tourism. The article dedicated its focus on two different excursions in Argentina where specific environmental consciousness is applied. It is a challenge for any small business to function when dealing with adventure activities in isolated areas. One of the excursions analyzed in the article is that of Mario Gadda, with the only Mountain Bike service offered in Puerto Piramides. The Vida Silvestre foundation owns and manages a piece of land, just a few kilometers from Puerto Piramides, with 7,360 hectares and bordering the coast of the Golfo Nuevo, called San Pablo de Valdes. All of the activities offered on this land are financed by the Vida Silvestre Foundation, made possible through the support of thousands members and donations. Here is a video made by Traccion a Sangre during its classic yearly Mountain Bike event Pedaling with the Whales. In this video, the Park Ranger of ¨San Pablo de Valdes¨ briefly explains the characteristics of the different activities offered. Combining these two unique and environmentally conscious businesses, Mountain Biking and San Pablo de Valdes, they have created a fantastic attraction for adventure-oriented tourists who visit this Patagonian Destination. 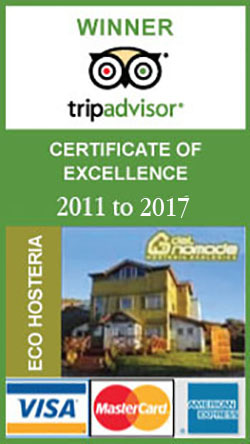 While staying at Del Nomade Eco Hotel any reservation you need can be made, with no extra charge, allowing you to explore the unique geography of the Valdes Peninsula through any of these nature-friendly activities.